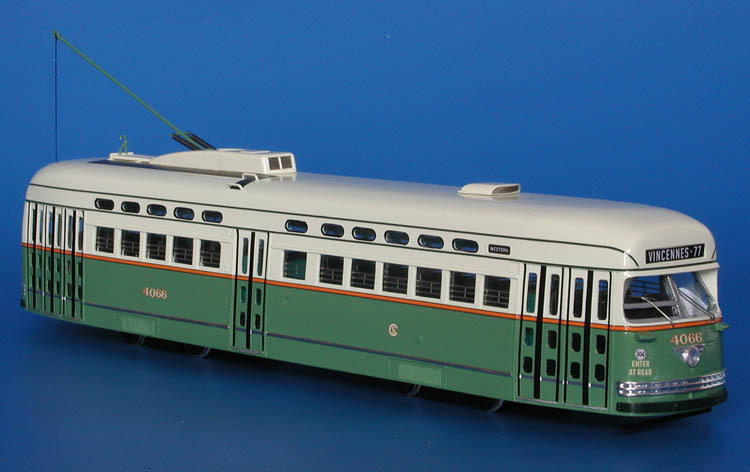 In June 1942 Dallas Railway & Terminal Co. (DR&T) ordered 25 double-end PCC cars from Pullman-Standard (order W6699) and in June 1945 they were placed in service on the radial 2 Ervay and 16 Seventh lines. 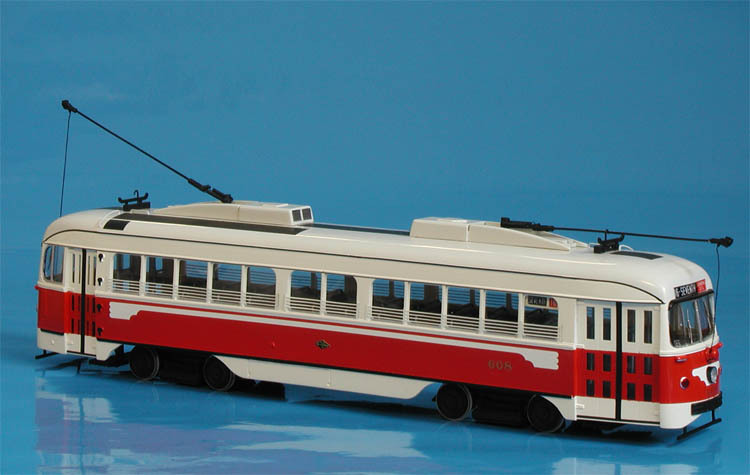 The brand new cars were painted in red, white and gray livery which Pullman applied similar as on Pacific Electric PCC. 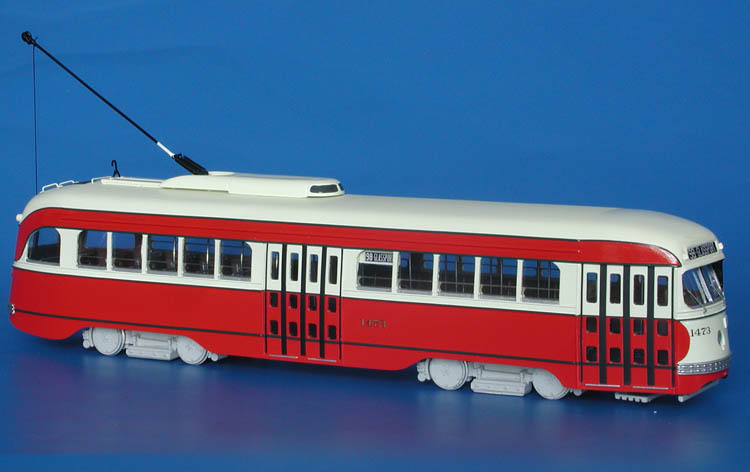 Starting from 1949, the PCCs were repainted in new cream and red livery. Numbered 601-625, the PCCs ran in Dallas until January 1956. They were offered for sale in 1954, but only in 1958-59 they were transferred to Boston in two lots. 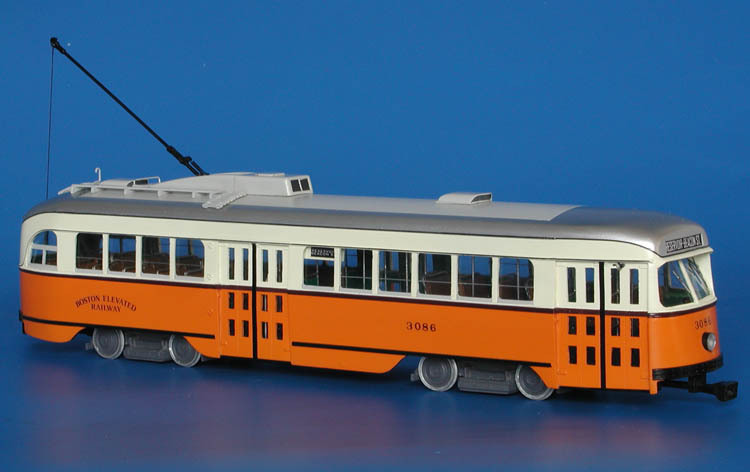 1945 Boston Elevated Railway Pullman-Standard PCC (Order W6710, 3072-3096, 3147-3171 series). 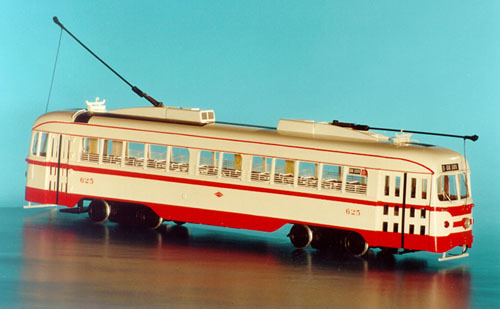 1946/47 Chicago Surface Lines Pullman-Standard PCC (Order W6749; 4062-4171) - as first cars were delivered to CSL. 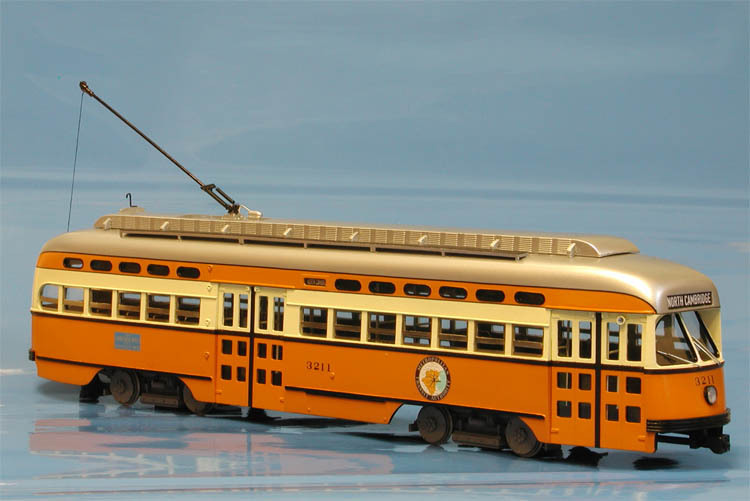 1946 Boston Elevated Railway Pullman-Standard PCC (Order W6710; 3197-3221 series) - "as delivered" livery.